Maximo Gimenez, an educator who graduated from Stanford University became the prewar Principal of MOHS in the early 30’s. He returned to Manila after having spent some time in Cagayan. 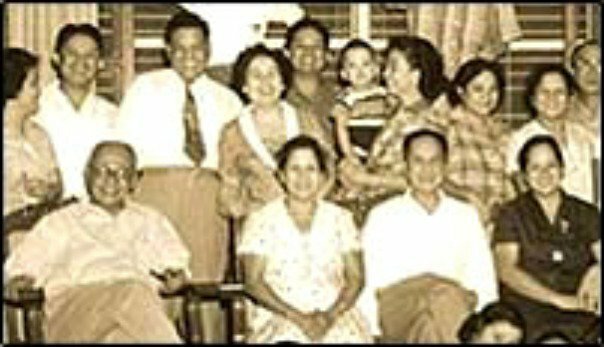 In 1945, after World War II, American troops stationed in Quezon City became friends with Maximo Gimenez who was very conversant in the american language. Some soldiers came to his nearby house for a drink or two, until they insisted that they pay for their drinks. Gimenez decided to open a café which served chicken, steak, and drinks. He was joined by his wife Mercedes, sister-in-law Felipa, his niece Ruby who managed the kitchen, and her husband Claro. Ruby’s fried chicken proved popular with G.I.s. and locals also began patronising the establishment. Encouraged by her mother to expand the menu and serve more Filipino food, Ruby set up the Baclaran branch along Roxas Boulevard in Parañaque. They decided to name the restaurant “Max’s” after Maximo.